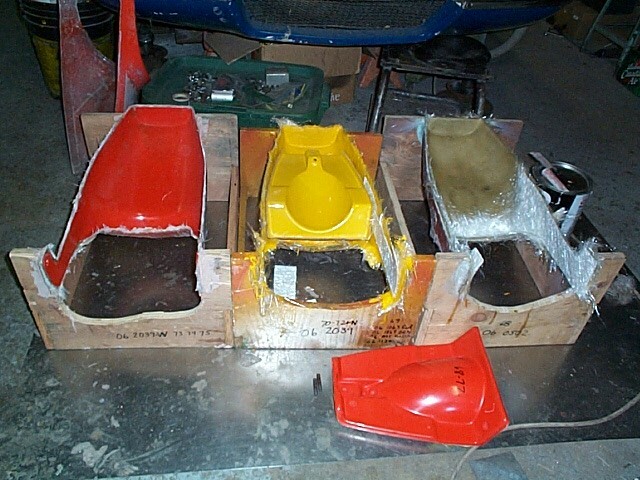 The tail and tank base section with more layers and then popped out of the mold, then trim the edges. 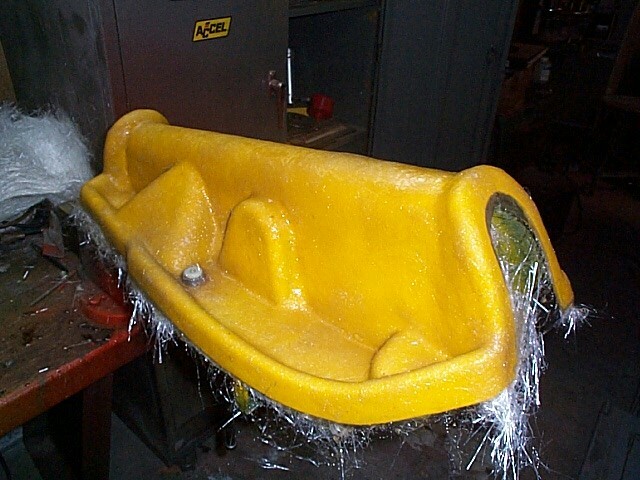 The tail in the mold with a few layers of mat and yellow tinted isophathalactic (sp) resin. 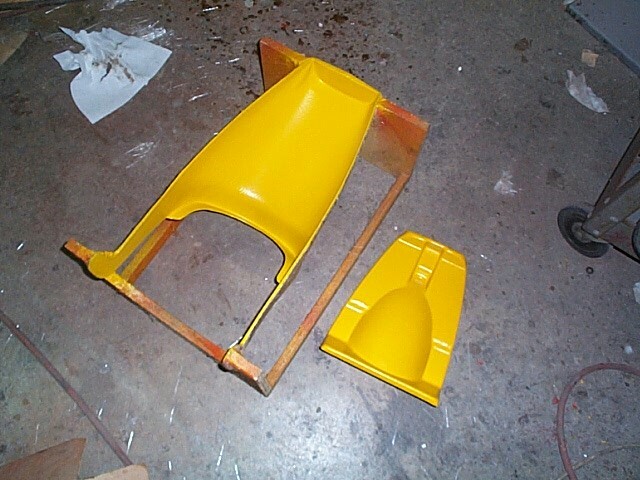 A fasback tank BASE in yellow gelcoat. the 3/8 BSPP steel insert for the petcock adaptor is held in place with a nylon cone retainer. The first layer of mat has been applied. 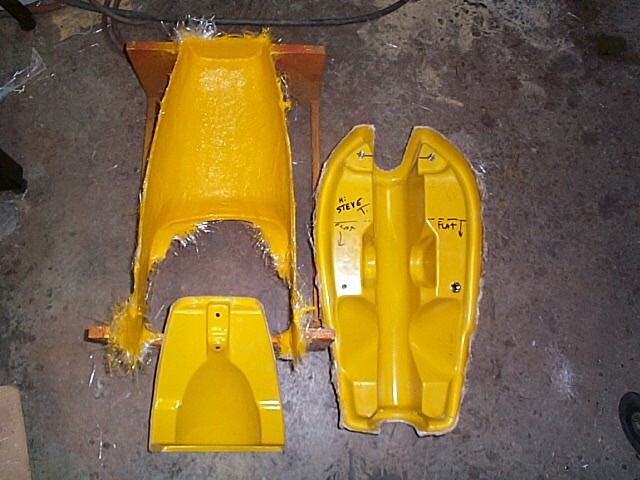 The fastback tail section and base mold with yellow gelcoat only. 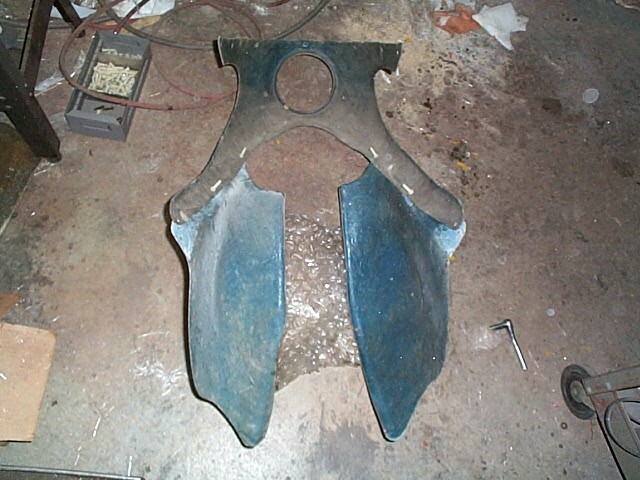 73-75 with wide rear frame loop (left). 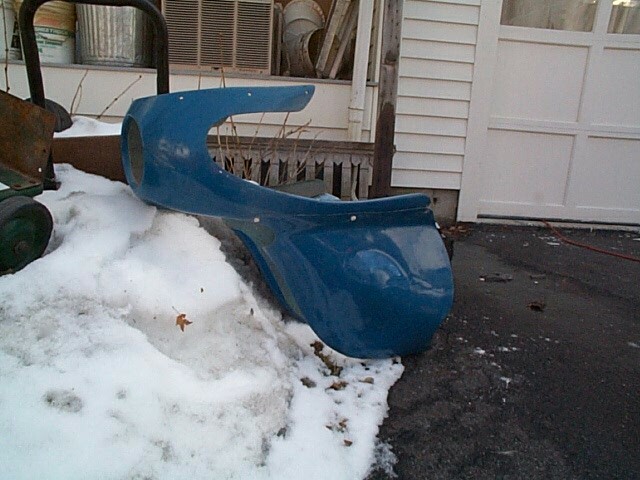 These are 2 piece parts with the base added and a steel insert must be bonded in the base to hold the mounting studs. There is a fair amount of work to build one of these. 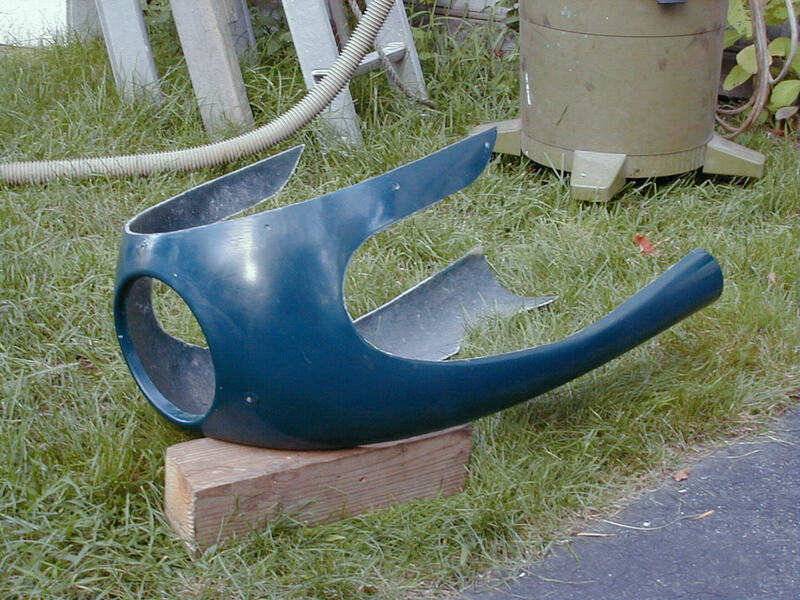 This is a fairing I got with a 74 commando some years ago. 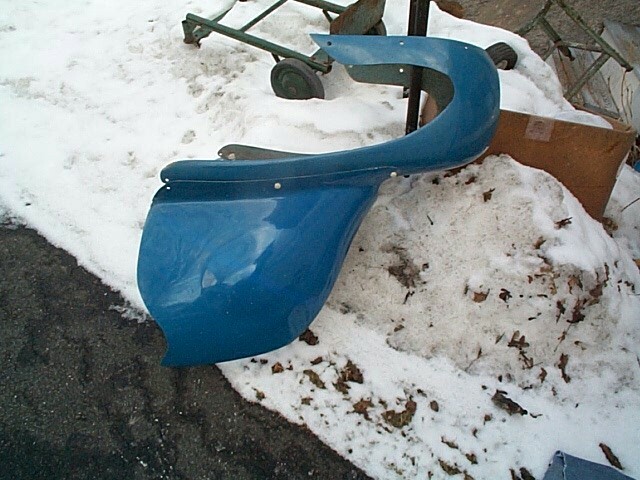 I now use it with my Interstate bodywork. 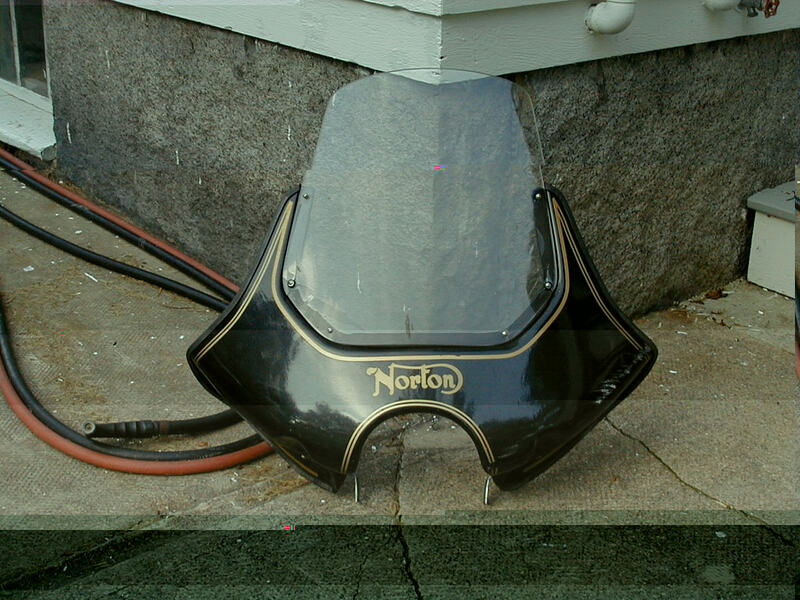 Does anyone know the orignal source of this fairing? I really like its fit and function and am considering making replicas for my own use. I have never seen another one like this. Any info would be greatly appreciated.